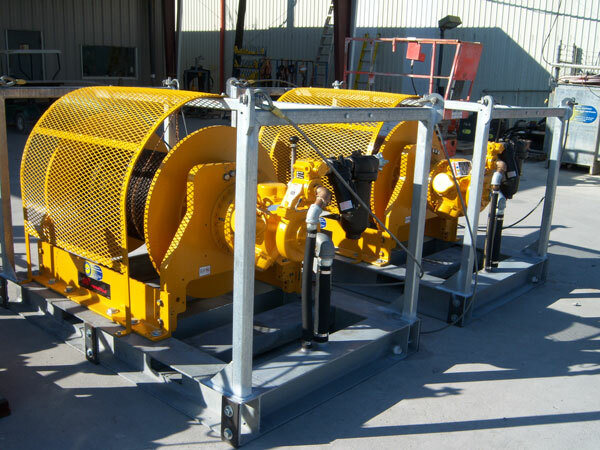 Morgan City Rentals supports the offshore and inland fabrication, construction, and the subsea industry with an Ingersoll Rand and RAM Air Tuggers (Utility and Man-Rider based mounted air winches). 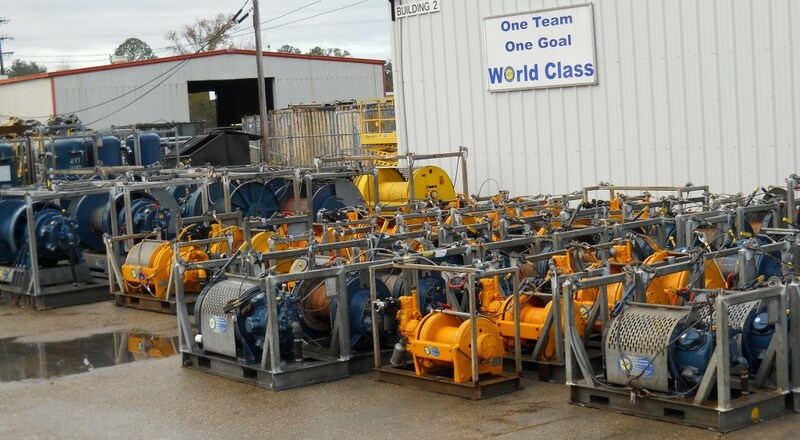 Supporting the industry with a large inventory of models that range in pulling capacity from 1,000 lbs. to 28,000 lbs. 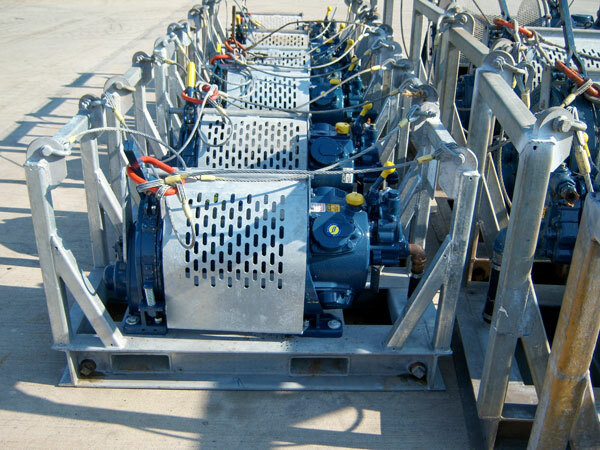 All models are skid mounted with certified lifting and meet or exceed the North American ASME B-30.7 standards. Also available are airline accessories and drum guards upon request. 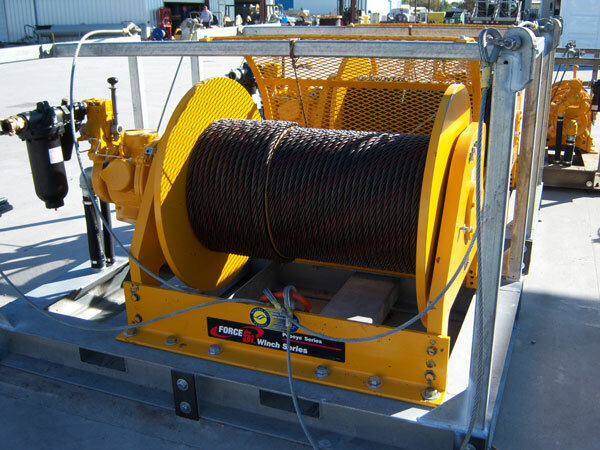 Call for certified drawings or additional information on the model winch you are needing. 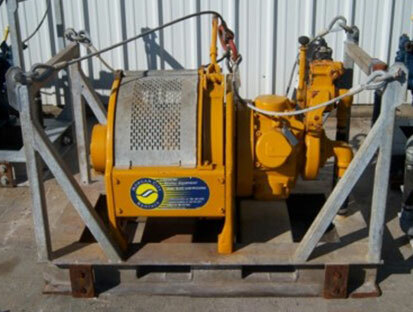 Caution: Do Not Use for Lifting or Lowering Personnel. 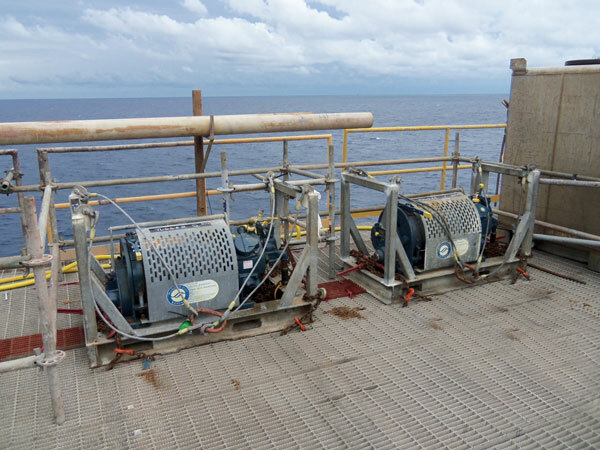 For top performance and maximum durability, operate these air tuggers at 90 psi (6.2 bar/620 kPa) of air pressure.